HÀ NỘI — Seven dams and reservoirs in Quảng Nam and Thừa Thiên-Huế provinces have begun releasing water as the central region experiences torrential downpours. According to the National Centre for Hydro-Meteorological Forecasting, the tropical depression that made landfall in the south-central region over the weekend, together with a cold spell coming down from the north, have brought heavy rain to four localities in the mid-central region, including the provinces of Quảng Trị, Thừa Thiên-Huế and Quảng Nam, as well as Đà Nẵng City. The weather centre has issued alerts on potential flash floods, landslides and flooding in lowland areas in these localities. The three biggest dams and reservoirs in Thừa Thiên-Huế Province were ordered to release water on Sunday night. The Tả Trạch Reservoir was releasing water at the rate of 80 cubic metres per second, while the Hương Điền and Bình Điền dams did so at the high rates of of 1,994 and 1,809 cubic metres per second, respectively, as of early Monday morning. Thừa Thiên-Huế has experienced downpours since Sunday, with water levels rising rapidly, according to a Việt Nam News correspondent based in the province. Several roads in Huế City and the Quảng Điền and Hương Trà districts are already flooded. The Thừa Thiên-Huế hydro-meteorological station has said that rain would continue until Saturday, with the total amount of rainfall potentially reaching up to 300-400mm. Five mountainous communes of Phong Điền, Phú Lộc, Hương Thủy, Nam Đông and A Lưới have been placed under red alert for landslides and flash floods. Torrential rain in Quảng Nam Province also forced four hydropower dams to release water down into the downstream sections of Vu Gia and Thu Bồn rivers. As of 9am on Monday morning, A Vương dam released water at the rate of 137 cubic metres per second, while the Đắk Mi 4, Sông Bung 4 and Sông Tranh 2 dams did so at 127, 260 and 290 cubic metres per second, respectively. Heavy rains, combined with the release of water by dams, flooded several areas in Đại Lộc and Nông Sơn districts. 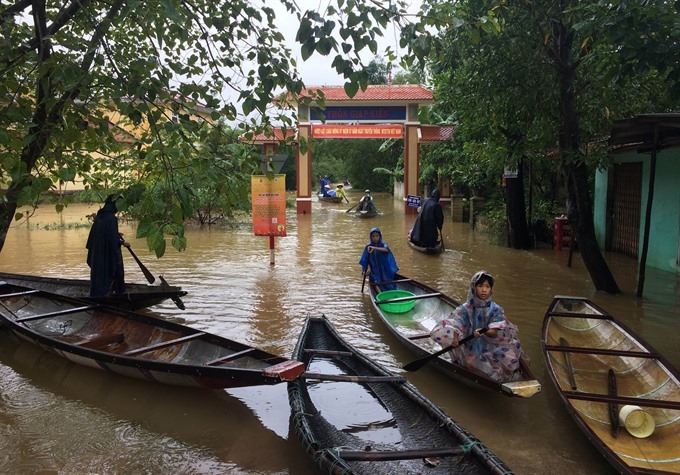 Flooded roads have isolated three communes in Đại Lộc and another four in Nông Sơn from the district centre. Heavy downpours and strong winds last Saturday evening also destroyed the roofs of many houses and uprooted hundreds of trees in Bình Dương Province and HCM City’s Districts 9 and Thủ Đức. In HCM City, around 149 houses had their roofs blown off and several roads, such as Nguyễn Văn Linh and National Highway No. 50 were severely flooded, causing numerous vehicle breakdowns and traffic snarl-ups. In Bình Dương, around 100 houses lost their roofs while two collapsed. Many parts of Dĩ An town suffered from a power outage. In the town’s Đông Hoà Ward, a 50-metre antenna tower collapsed on three houses. A donation of 5,000 food packages worth VNĐ2 billion ($88,000) from Carlsberg Việt Nam, a member of the Carlsberg Group in Denmark, has been sent to flood victims of storm Damrey in the central provinces of Quảng Trị, Thừa Thiên-Huế, Đà Nẵng and Quảng Nam. The supplies, including rice, fish sauce, instant noodles, cooking oil, and milk, have been delivered to the communities affected. A landslide disrupted a train journey on the Hải Vân pass on Monday, essentially blocking the north-south rail route. 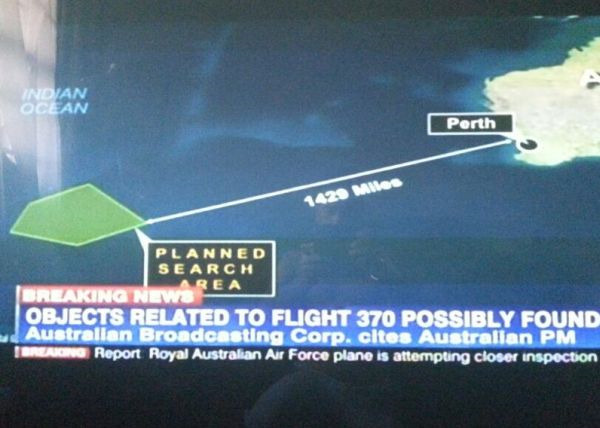 Authorities are yet to say when normal service can be resumed. The north-south train SE3, running from Hà Nội to HCM City, was forced to a sudden halt at around noon after several big rocks fell on to the railroad section between Lăng Cô and Hải Vân pass in Thừa Thiên-Huế’s Phú Lộc District. The 15-carriage train, of which 13 are passenger cars, had to return to Lăng Cô, the previous station, instead of proceeding to Đà Nẵng. After 247 passengers on board, including both Vietnamese and foreigners, were brought back to Lăng Cô, several decided to leave the train and find their own ways to Đà Nẵng. Torrential rains are believed to have triggered the landslide. Việt Nam Railways Deputy Director General Đoàn Duy Hoạch said that heavy rain was hindering repair work at the site.